Are you looking for the best portable alkaline water solution? Bottled water is great for convenience and definitely has its benefits, especially when you are traveling to areas with no public water source. But this convenience is not always the best solution for alkaline ionized water. Find out why we don’t recommend buying alkaline water in a bottle. 2 Where Can I Buy an Alkaline Water Bottle? 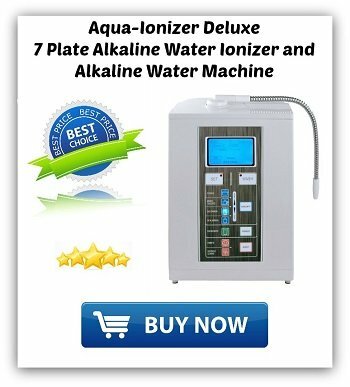 If you have ever heard people complain about the “dangers” of ionized water, it is probably because they have heard about the dangers of bottled alkaline water. I am talking specifically here about the type you purchase which is pre-bottled at the supermarket or gas station. What’s wrong with this water? Simply put, it does not stay ionized. In fact, it only takes about 48 hours for water to lose its ionization. By the time you buy it, it is already just regular water—and worse, it has the same dangers associated with it as any plastic bottled water. The water leaches chemicals from the plastics, especially if exposed to lots of heat and light. Those chemicals are bad for you! So this type of ionized water is essentially a scam. It’s just normal bottled water. It has no ionized benefits, and it is bad for you. Of course, bottled water has its uses. What if you want to bring water with you on a walk or a jog or a bike ride? What if you are going on a long drive? What if you need to bring water to the office? What if you are a frequent traveler? It makes sense to search for a portable solution. Where Can I Buy an Alkaline Water Bottle? If you are shopping for a portable alkaline water bottle, one of your best options is to look online! Amazon.com offers a great selection. The prices are low, you can check out customer reviews and features in-depth, and you can make an informed buying decision. You can also buy many products directly from the manufacturer’s websites such as Tyent USA, a well-known brand or Dyln, a relatively new company on the market. Let’s take a closer look at both so you can decide which one is best for your needs. This portable alkalizer costs between $60-$90 and is a popular choice. The company – Tyent USA is a trusted name in the industry has been creating alkaline water solutions for 15 years. It’s a portable device with a central cartridge that contains alkaline minerals. You can pour ordinary tap water into it, which it will ionize and inject with healthy, beneficial minerals. Its dual functionality allows it to act as a portable filter as well. It will strip all the bad stuff out of your water, like chlorine, bacteria, and heavy metals. So you get all the good stuff in your water and none of the unhealthy stuff that comes out of your tap. 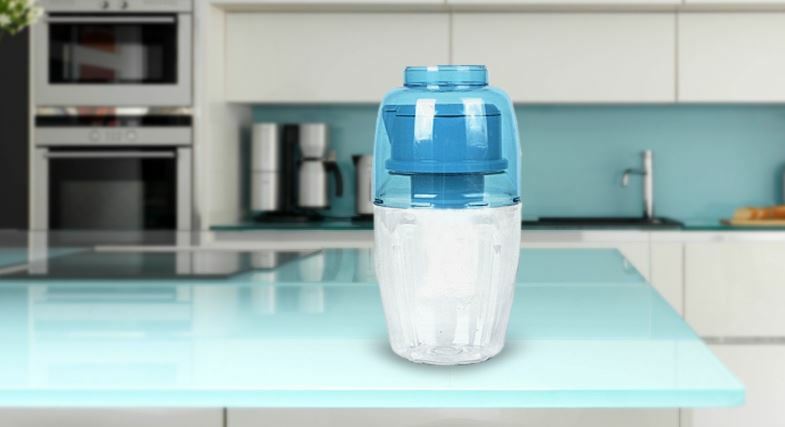 Your water will taste much fresher and will have a revitalizing effect. You can rest assured that you are putting only healthy, wholesome minerals into your body. How do you know it works? The pH balance test kit included allows you to check the pH of your water after you filter it! What do customers say about the TYGO Portable Alkaline Water Purifier? It’s small enough that you can easily fit it in a backpack, which makes it ideal for work, backpacking, camping, and other uses. However, some customer thought the shape made it difficult to bring along to crowded places like the gym or airport. The bottle is wider in the center than some of the more streamlined models. It’s extremely easy to use; you just fill it up, and the filter takes care of everything. Buyers say that the water that comes out of it tastes crisp and refreshing, like mountain spring water. You can buy this ionizer for $40-$60, making it a lower cost option. This portable ionizer has a sleek, aesthetically pleasing design and includes a filter cartridge which is good for up to a year of use. While you do have to replace the cartridge routinely, it is very inexpensive, costing the equivalent of ten cents a day. You can pour in tap water or filtered water, and it will be ionized for you in a matter of just ten minutes. 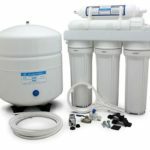 At the same time, the filter will disinfect the water and remove heavy metals and other unwanted toxins. Your water will be fortified with healthy minerals like calcium, magnesium, and zinc. What are buyers saying? 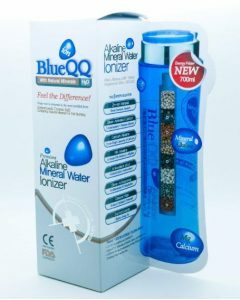 The BlueQQ ionizer is an affordable choice and a great value for the price. It’s small enough that you can easily carry it with you wherever you need to go. While it appears to be a very good model, it is our second recommendation because there is a lot more buyer review information available for the HYGO ionizer at this point in time. While a portable alkaline water bottle may seem like a costly purchase, it can be well worth it if you have a regular need for ionized bottle water. Think about how much you are spending on bottled water right now for a moment. It will actually cost you less per day to use one of these ionizing products. It will pay for itself within a matter of months. And most importantly, you will be getting truly healthy water! There is a reason you are avoiding tap water. You want water with a healthy, balanced pH, with minerals that will nourish your body, and without the nasty toxins that come out of your tap. When you buy bottled water from the store, it isn’t really ionized by the time it gets to you, and it just replaces tap toxins with plastic toxins! These portable ionizers solve both problems. They remove toxins from your water and keep it ionized and fortified with healthy minerals. You can take them to work or anywhere else you need healthy, alkaline water. They cost less and deliver more, and are the perfect ionized solution! 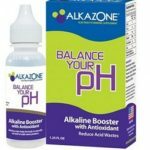 Get more information on portable alkaline water bottles and read customer reviews directly on Amazon.com.